Christine here today to share a September Club Q project with you. I loved the canvas frame that came in this kit and was excited to play with it! My in-laws are moving to a new house tomorrow so I thought this would make a great housewarming gift for them! I used the reverse side of the frame die cut that we received so I could make use of the gray and black. I also played up the maroon in the photo using some of the maroon patterned paper and die cut pieces. I did some outlining of the die cut scallops in order to make them pop a bit more. 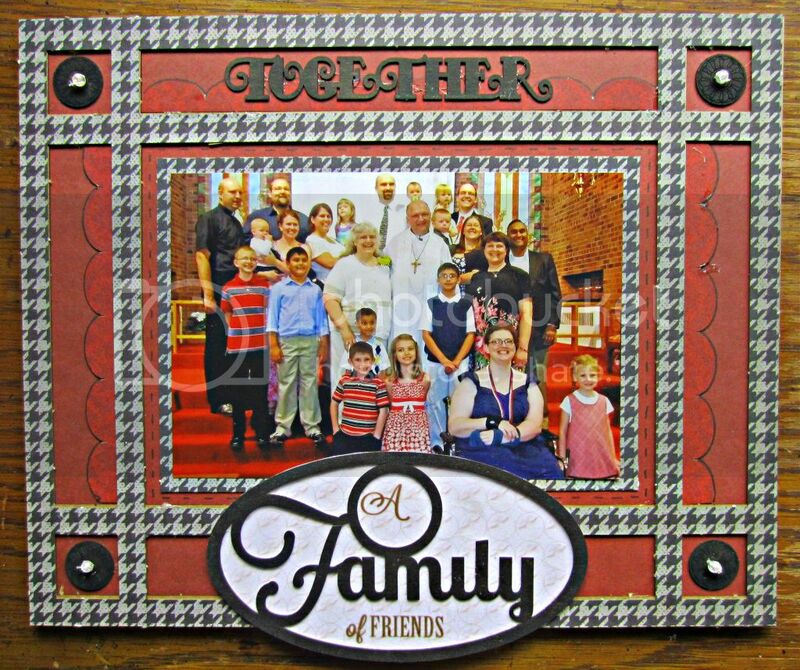 I love the family chipboard that came along with the kit and the vellum background for it. Have you created your canvas piece yet?... We would sure love to see it if you have so leave us a link! Excellent pr4oject and good looking family. What a wonderful house warming gift.Great work! This is the perfect House Warming gift! So pretty!